Are you looking for the local Clearwater Real Estate Expert or the Clearwater Florida Homes and Pinellas County Neighborhood Experts? Look know further – we put or extensive Clearwater Beach and Clearwater Florida knowledge and experience to work for you as your Pinellas Real Estate Advocate. 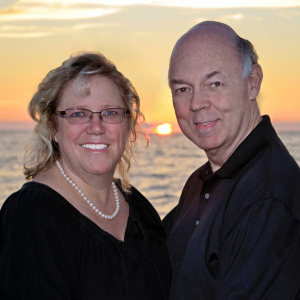 Hello, we are Jack & Cyndee Haydon, Realtors® serving Clearwater Beach and the Clearwater Florida area. 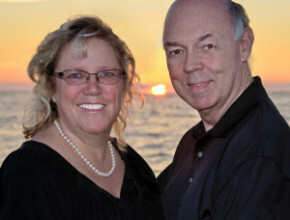 We are a dedicated, effective husband & wife Real Estate Consulting team focused on delivering Amazing Results & First Class Service for those buying Clearwater homes or Clearwater Beach condos or selling Tampa Bay homes or Tampa Bay condos. We are members of both the Pinellas REALTOR Organization and the National Association of REALTORS. Proudly serving the Clearwater real estate market for those individuals and families who value our Innovative, Client Focused approach to Pinellas County Real Estate and helping people buy a primary or vacation home on Tampa’s beaches. Imagine living in your own Clearwater Beach Home or Sand Key Condos, your Island Estates Waterfront Home or how about living in Dunedin, home to the #2 Beach in the US or a St Pete Beach Home or Condo, where it’s Sunny and Warm all year long…. Imagine the refreshed feeling you’ll have enjoying our crystal blue ocean waters – swimming, boating, kayaking…. Imagine friendly Clearwater Beach bars and waterfront resturants with tropical settings and nightly entertainment…. Experience shows we can help you make your Tampa Bay beaches home or Clearwater condo dreams a reality now, when you work with us…. We believe that YOU and your home buying or selling goals are always what’s most important – not the sale of any one home or condo in the Clearwater | Clearwater Beach | Island Estates | Sand Key and the Gulf Beaches area. We believe you deserve a professional real estate team, like Cyndee & I, to focus on achieving your home buying or home selling goals in the quickest, easiest way possible when looking in the Clearwater and Clearwater Beach areas . Because Cyndee & I work primarily by referral, we stay focused on what’s important to you, because, what’s important to you is really important to us. This allows us more time and energy to devote to our clients, like you. This includes every aspect of the home buying and home selling process, before, during and after the sale of your home. Clearwater Beach Realtors Explain we’re NOT your typical Clearwater REALTORS. Our vision is for you to trust and appreciate our real estate advice and actions so much that we’ll earn your referrals for those you know planning to buy or sell a home in the Clearwater | Clearwater Beach | Island Estates | Sand Key | Gulf Beaches area, again and again – not out of obligation, but because you truly believe your family, friends, co-workers and neighbors will benefit greatly by working with us.